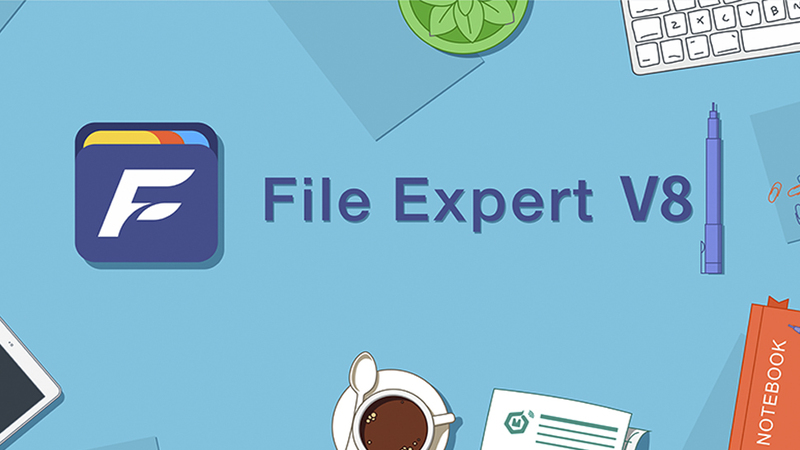 File Expert – File Manager is an App for Android devices developed by GMobile (formerly known as GeekSoft) that allows users to manage their files such as photos, music, videos, documents and APKs. It has been one of the best and most downloaded File Managing App developed so far. The best part is, its Free for download on Google Play Store. The App works with Android version 4.1 and above. The File Expert – File Manager App has over 5 million downloads on Google Pay Store with a rating of 4.4 out of 5 by reviewers. Over 88,000 App users have shared their reviews on Google Play Store, while most of them appear to be positive. We had never seen a file managing app on Android that has an App Lock function. 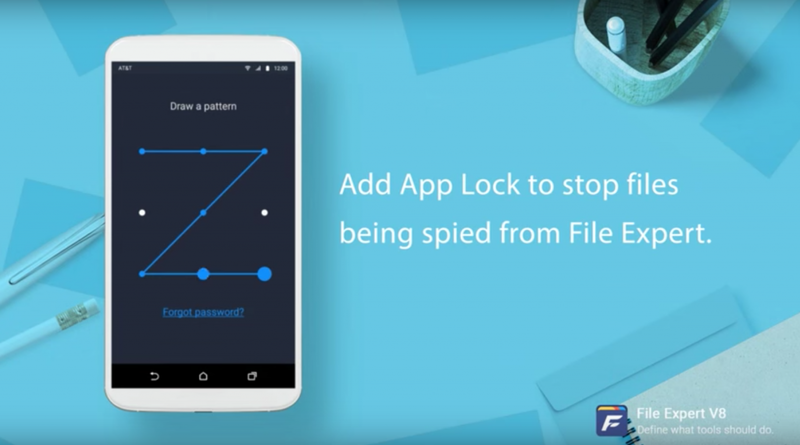 However, File Expert – File Manager App appears to have an App Lock function that keeps your files secured. Therefore, those who have the password or pattern for the App can only access the file manager. This function would keep files your away from being spied on. Surely, most of us have private files on our devices that we wish them not to be accessed by others. Swipe Right to show storages, categories, network tools and other advanced features. Create new files/folders on external SD Card. View file property: such as file type, size, path and much more. Delete files/folders permanently or you can delete them temporarily by moving them to Recycle Bin. Restore files/folders any time from recycle bin when deleted temporarily. Lock important photos, videos, documents, folders in Safebox. Change View Mode/Sorting Order (Grid/List). Connect your phone with a printer wirelessly. Backup your favorite APK versions. Convert Word, Excel, and PowerPoint files to PDF with a single touch. Copy/Move files from Clouds to SD Card between tabs. Provide dual selection themes (You can change file managers theme light/dark). File Expert – File Manager App is also available in different languages. Therefore, if you wish to change its language, you always can by simply doing it from settings. If the language you wanted hasn’t been listed above, don’t worry. GMobile has said to add more languages soon in the coming versions of the App. For more news and information about the App, you may visit GMobile Official website. Support for App users is available on the website. If you haven’t downloaded the App yet, what are you waiting for? Try the App now by downloading it from Google Play Store for free!